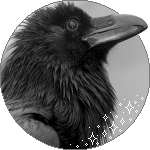 I go by Crow, but feel free to call me whatever you'd like! I am a self-taught artist who draws all sorts of things. Don't be afraid to approach me with questions or if you simply want to chat! I might be a bit slow with replies due to college, but I'll try my best to get back to you. "Take it in your heart now, lover."